Long-term mine exploitation produces a large number of mine tailings, which are always backfilled or piled up traditionally; then serious environmental pollution and resource waste arise. 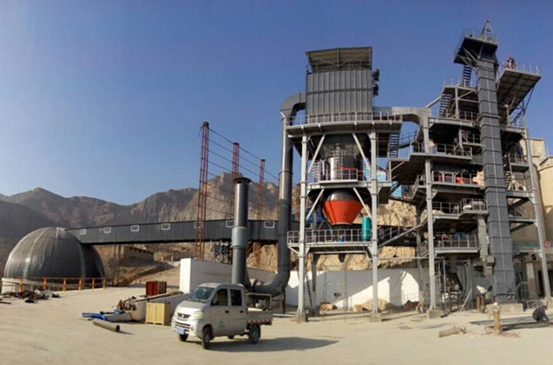 Under the background of a new era, the VU Aggregate Optimization System developed by Shanghai Zenith boasts significant economic environmental benefits because it can transform mine tailings into manufactured sand. After being selectively processed, the main ingredients of the crude ore has been enriched in the concentrate, while the secondary ones or other associated metal have retained few products with low contents of useful ingredients, namely the mine tailings. In a word, it refers to the discharged waste slag after completion of mine processing by mining enterprises. Recently, the mine tailings are usually treated as underground mining goaf fillings, namely water sand fillings or cemented fillings; to carry out land reclamation directly on the tailing dump for cultivation of trees or crops is another method, but its economic value is not high. The most economical treating method is turning waste into wealth, during which VU aggregate optimization system can help turn mining tailings into green construction materials. VU Aggregate Optimization System is the world’s top dry sand making system and also an innovation of traditional sand production lines. This system adopts a highly intensive tower-type enclosed layout, integrating high efficient sand-making, shape optimization, stone control, gradation adjustment, moisture content and environmental processing, thus achieving the regulation and optimization of mechanism sand shape, gradation, powder content and other indicators. During mine tailing processing, the VU aggregate optimization system can process the material into mechanism sand whose fineness meets requirements. The overhaul of crushing and grinding technology makes crushing sand rate roar up to above 10%. The integrated screening technology has greatly improved screening efficiency and decreased screening area to above 50% compared with traditional crafts. The ascension of single equipment performance and reasonable cohesion of crafts have significantly lowered power consumption of per ton and improved throughput up to 5-10%. (1) Crushing and Supercharging Technology: VU series impact crusher is customized for VU aggregate optimization system. This type of crushing equipment has increased extractor and collision frequency. Compared with conventional impact in the present industry, it can improve fine sand production rate to above 10% and further improve sand shape and size. (2) Low-energy Crushing Plastic Technology: the VU imitates the water flushing action during natural gravel forming process to force materials into abrasive brush movement, which can remove burrs and sharp edges on the surface of sand particles, while the fallen debris becomes valuable fine sand, thus further improving grades of finished sand. (3) Integrated Dry Screening Technology: the mode control screen has integrated mature screening and air milling technology. In the fully-enclosed cavity, it can complete powder-removing and screening tasks simultaneously through air suction and mechanical vibration. More accurate adjustment online can be achieved by adjusting air flows, which makes finished sand fineness modulus be regulated from 2.3-3.0. Mine tailings used for mechanism sand have dual economic environmental benefits; firstly, for mine tailing itself, it can reduce environmental pollution and maximize its economic value; secondly, for manufacturing enterprises of mechanism sand, mine tailing is cheap, available and profitable; thirdly, for manufacturing enterprises of concrete, 35 kilograms of cement can be saved per square of concrete, so adopting mechanism sand as concrete of aggregates can save 14yuan per square according to 400yuan per ton of cement.